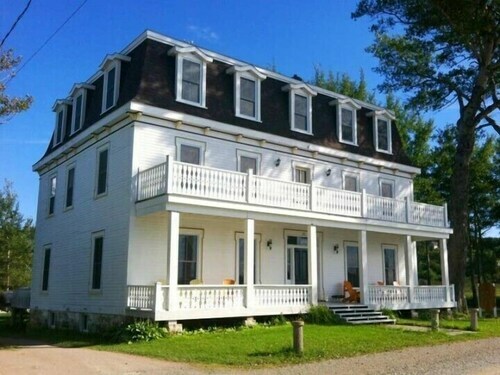 Nestled on the beach, this Grand Narrows bed & breakfast is 0.1 mi (0.1 km) from Bras d'Or Lake and 2.7 mi (4.4 km) from Highland Village Museum. Gillis Point Lighthouse is 7.1 mi (11.5 km) away. 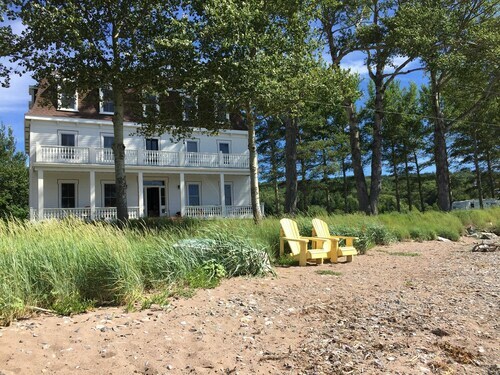 Nestled on the beach, this Grand Narrows vacation home is 0.1 mi (0.1 km) from Bras d'Or Lake and 1.9 mi (3 km) from Highland Village Museum. Gillis Point Lighthouse is 6.3 mi (10.1 km) away. Located in Inverness, Subd. 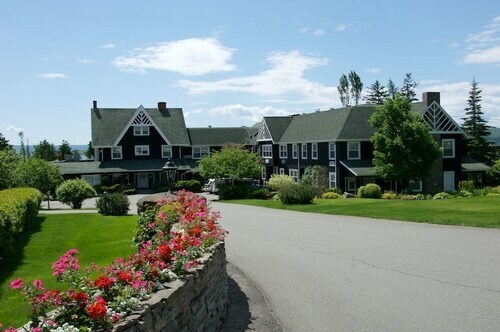 A, this romantic hotel is within 1 mi (2 km) of Bras d'Or Lake, Gilbert H. Grosvenor Hall, and Bras d'Or Lakes and Watershed Interpretive Centre. Kidston Island Beach Ferry and Kidston Island Lighthouse are also within 1 mi (2 km). Located in Inverness, Subd. A, this hotel is within a 10-minute walk of Kidston Island Beach Ferry and Kidston Island Lighthouse. Alexander Graham Bell National Historic Site and Uisage Ban Falls Provincial Park are also within 12 mi (20 km). How Much is a Hotel Room in Grand Narrows? 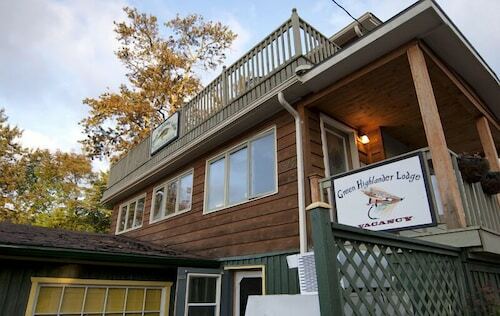 Hotels in Grand Narrows start at $104 per night. Prices and availability subject to change. Additional terms may apply. For those who are planning to experience the center of Grand Narrows, Travelocity lists a limited number of local options in which to spend some time. You will discover 2 Travelocity-recommended lodgings within a 6-mile (10-kilometer) distance of the center of town. It's no worry that Grand Narrows can't boast to a wide selection of hotels in the midst of its urban core, Grand Narrows Hotel is central enough to appease wise travelers. You could also check out the Inverary Resort and also the Silver Dart Lodge. The Inverary Resort is located just 11 miles (17 kilometers) from the city center of Grand Narrows. The Silver Dart Lodge, can be found 10 miles (17 kilometers) away. The Cabot Trail Motel and also the Telegraph House are some other places to base yourself in Grand Narrows. The closest accommodations in Cape Breton Island are Wagmatcook and [name of second nearby city or town (sibling)]. Wagmatcook is 11 miles (18 kilometers) to the northwest of Grand Narrows, while [name of second nearby city or town (sibling)] is 30 miles (48 kilometers) to the northwest. Wagmatcook Travelocity-registered bases are the Trailsman Motel and Castle Moffett. The Cape Breton Cottages and Yellownose House are amongst the room options in [name of second nearby city or town (sibling)]. Grand Narrows boasts some fantastic attractions for visitors and locals alike; uncover more by visiting our clever Grand Narrows accommodation and travel guide. Worst experience ever! They did not give us the room we had requested and then wouldn't refund. They have refused to work with us. The room had a bare trickle of water pressure. We had NO hot water for showers. The breakfast was sparse and cold. I can go on and on. The owners were rude and very unprofessional. We are professional people and completel honest and persons of character. These statements are true and actual. Do not stay at the Trailsman.................you will be disappointed. Baddeck is a lovely spot to spend a day. The Alexander G. Bell Museum is wonderful. We did the "Take a seat, take a tour" lecture and the presenter was excellent. 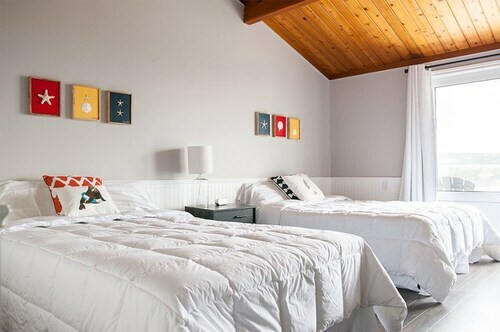 Rooms are spacious, well furnished and comfortable. There are views of the Bras d'Or Lake, which is within easy walking distance. 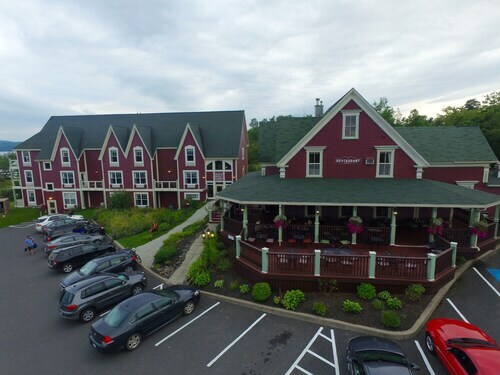 The hotel is right on the edge of Baddeck's main street, so the information center is right across the street, and shops and restaurants within a block or two. The hotels own restaurant is very nice, with a view from the terrace portion. 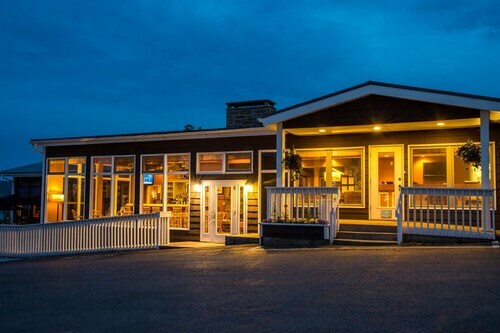 The hotel is right by the Cabot Trail, which goes through the spectacular Cape Breton Highlands National Park; the circuit can be done in a day, stopping at the overlooks but not for long hikes. Deck view of the lake was beautiful and we loved having a chocolatier right in the hotel. 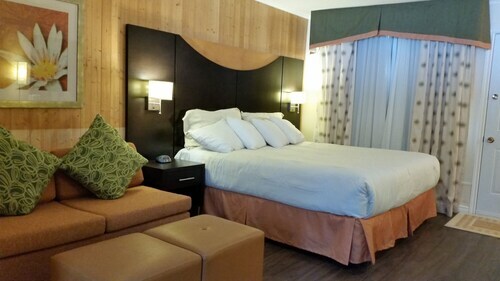 Room is basic but very clean and centrally located with a balcony overlooking harbor. Breakfast is in the Yellow Cello restaurant beneath room. Would definitely stay in room again.